The UN High Commission for Human Rights forms the cornerstone of international human rights work and represents the legal basis for human rights in the world. It is also the main monitoring body through its multiple institutions and organizations and diverse experts in human rights-related fields. It also represents the primary organization that directs political pressure at states which violate international human rights law. OHCHR is also the legal entity authorized to supervise the states’ implementatio? of treaties and international conventions related to human rights. In other words, according to OHCHR’s own texts, it had been entrusted with the “mandate to promote and protect the enjoyment of all people of all human rights, enshrined in the United Nations Charter, international laws and treaties in the field of human rights” through various means including “preventing human rights violations and ensuring respect for all human rights, promoting international cooperation to protect human rights, coordina?ing relevant activities within the United Nations, strengthening the United Nations system and the rationalization of its work in the field of human rights, leading efforts to integrate the approach on human rights in all the work carried out by United Nations agencies”. 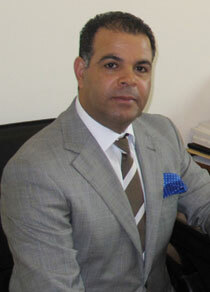 The Geneva-based High Commissioner for Human Rights is in charge of all functions and activities assigned to the OHCHR. The High Commissioner is nominated by the United Nations Secretary General and endorsed by the United Nations member states at a meeting in the UN General Assembly which gives him the mandate and major international authority as he is responsible for human rights in the world as a whole. Laws and activities that defend human rights have evolved on the basis of the Universal Declaration of Human Rights, which was adopted on December 10, 1948 and has identified a common goal for all nations and people, which is: the protection of fundamental civil, political, economic, social and cultural rights that should be enjoyed by all human beings. This declaration has become the benchmark for international human rights law, which measures, according to its provisions, the commitment of states to resp?cting the rights of their people. On the basis of the Universal Declaration, the International Covenant on Civil and Political Rights and its two optional protocols, and the International Covenant on Economic, Social and Cultural Rights; were added. All of this has become known as the “International Bill of Human Rights”. This “International Bill” is binding to all states that are parties to it, so that they respect and protect human rights, and fulfill it; and align their domestic laws with it, and protect individuals and groups from violations of those rights and also facilitate the enjoyment of basic human rights through undertaking positive action. However, if countries fail through their domestic laws to protect the rights of their citizens and address violations, then the international community, through the Human Rig?ts Charter, has the tools and procedures that enable individuals to file complaints in order to apply international human rights standards and implement them. • Focuses on three key dimensions: standard-setting, monitoring, and implementation on the ground. Here, it offers the best expertise and technical support to the different United Nations human rights bodies as they discharge their standard-setting and monitoring duties. 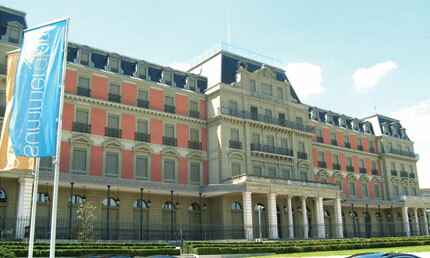 The High Commission assumes the role of the General Secretariat of the Human Rights Council. • OHCHR works with governments, legislative bodies, judiciary, national institutions, civil society, regional and international organizations, and the United Nations system to develop and strengthen capacities. • The commission cooperates closely with all United Nations agencies to ensure that human rights constitute the cornerstone of the United Nations’ work; which means integrating human rights perspective in all United Nations programs. The purpose of this is to ensure that peace and security, development and human rights - the three main pillars of the United Nations - are interdependent elements and mutually reinforcing. • OHCHR leads global efforts in the field of human rights, and expresses its views out loud in the face of human rights violations wherever they occur, and provide a forum such as the Human Rights Council to determine and highlight the current challenges in the field of human rights, and coordinate activities related to research, education, information and advocacy among others. • The commission provides the necessary assistance to governments, given that they have the primary responsibility for the protection and promotion of human rights, such as expertise, technical training in the areas of administration of justice, legislative reforms, the electoral process and assists in the implementation of international human rights standards on the ground. • OHCHR also provides assistance to the civil society, regional organizations and others which exercise their role in the protection of human rights and help them in carrying out their functions and fulfill their obligations as well as help people in defending and enjoying their rights. • OHCHR supports the work of the UN special rapporteurs, independent experts and task forces appointed by the Human Rights Council, to monitor the human rights situation in various countries, through field visits, and receive complaints directly from the victims of violations, and appeal to governments on behalf of the victims in addition to providing legal research to basic human rights treaties bodies. OHCHR also supports committees of independent experts charged with monitoring states’ compliance with t?eir treaty obligations, and meets periodically to discuss the incoming reports from party states and make recommendations. • OHCHR has a field presence to ensure the implementation of international human rights standards on the ground, and to reach out to those people that are most in need and identify challenges and respond to them in cooperation with governments and civil society, and other United Nations agencies, in the fields of monitoring the situation, and implementing projects such as the technical training and the reforming of the judicial and legislative systems among others. The United Nations prepared a technical cooperation program in the field of human rights since 1955, to assist States, at their request, in the building and strengthening of national structures that have a direct impact on the overall observance of human rights and the maintenance of the rule of law. The programme is comprehensive, providing practical assistance in the building of national and regional human rights infrastructures. 5- Promoting the culture of human rights. 6- The commission approved mechanisms to assist states is carried out by providing expert advisory services, training courses, academic and practical workshops and seminars, fellowships, grants, provision of information and documentation, and assessment of domestic human rights needs. First, Strengthening international human rights mechanisms (the Human Rights Council; Universal Periodic Review; special procedures through international rapporteurs and treaty bodies). Second, Enhancing equality and countering discrimination. This includes combating racial or gender-based discrimination or discrimination against the elderly and immigrants and adopting the causes of indigenous people and minority groups. The OHCHR is also interested in gender equality and women’s rights and in promoting and protecting the rights of persons with disabilities. Discrimination is one of the main issues of international human rights law and combating it is a comprehensive goal for the High Commission ?or Human Rights. Third, Combating impunity, and strengthening accountability and the rule of law through the support of legislative and institutional reforms, and capacity building for the judiciary and law enforcement officials to comply with the international rules and standards while performing their duties, and to facilitate the protection of victims, and their access to remedies; as well as through supporting the measures of (transitional justice). Fourth, Integrating human rights in development and in the economic sphere. The uprisings, social conflicts, financial crises, the growing economic inequality, poverty and deprivation, have all proven that the lack of accountability in the economic field, inequality and slavery, are all elements that undermine the human rights of all kinds. Fifth, Widening the democratic space; by identifying trends that restrict public freedoms without justification, and which limit the effectiveness of civil society. Human rights defenders and journalists are the main target of the restrictions, threats and assaults. Sixth, Early warning and protection of human rights in situations of conflict, violence and insecurity. For the first time since the founding of OHCHR in 1993, an Arab figure has occupied the most senior international human rights post which is that of the High Commissioner for Human Rights. It is Prince Zeid Ra’ad Al-Hussein. There is no doubt that the international community’s choice of a Middle Eastern personality was deliberate, because this region has one of the worst human rights record in the world; a region living in deep political and social crises that produces further abuses and dim the prospects ?f the development of human rights. The appointment of an Arab High Commissioner represents both an opportunity and a burden at the same time. It is an opportunity because the Commissioner is familiar with the region, its culture and people and is aware of the routes that could lead to change. Therefore it is hoped that he can succeed where his predecessors have failed. As for it being a burden, there is the fear that Arab regimes would deal with this new High Commissioner as part of their own political fabric and not give him the appropriate appreciation he deserves as an international figure, and may therefore not listen to him, and could hinder his work rather than cooperate and support him, as they should do, so that this region can move beyond the misery, fragmentation, war and loss. There is an opportunity before the Arab world to help the High Commissioner succeed in discharging his mandate and reform the Arab human rights situation as a service to political authorities there and the people of the region. The failure of this High Commissioner would be viewed as an Arab failure and the opportunity of appointing an Arab-Muslim representative in such a senior international level post may not be repeated. Arab regimes in general would be bothered as usual by the commission’s criticism, especially if it comes from the High Commissioner himself. This would prove even more annoying given that the commissioner is an Arab, as if they would expect him to favor them, and take into account their feelings and abandon the responsibilities upon which he has been chosen by the international community. This will not happen and just as pressure, criticism or annoyance towards former commissioners did not work, he will co?tinue his predecessors’ approach in accordance with international standards and guidelines that have been developed to achieve the objectives of the commission backed by countries of the world and members of the United Nations. The best approach is for the Arab world to respect the High Commissioner, Prince Zeid Ra’ad Al-Hussein, through understanding the nature of his post and function and cooperate sincerely with him to address the human rights concerns in each and every Arab country. Arab countries are no exception to the rule or unique in terms of how they are viewed or dealt with by the Commission. 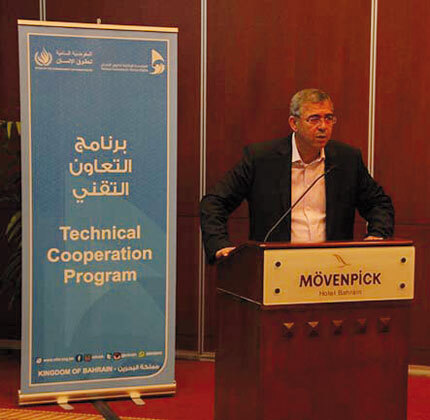 It is true that the new High Commissioner, as an Arab, accurately understands the Arab situation, and that this understanding is supposed to facilitate his work through the mutual exploration between the Arab states and the commission of the suitable mechanisms to reform the Arab human rights situation. Placing new obstacles or underestimating the commissioner’s post and expressing uneasiness towards his conduct, just because he is an Arab who, according to some, should favor them, is the wrong attitude,th?t would not help the commission, nor the commissioner or the Arab states themselves, and consequently, will not help the cause of reform and development of our human rights situations which everyone acknowledges are bad and in some countries may be even worse. The following is a review of some of the statements delivered by the High Commissioner, Zeid Ra’ad Al-Hussein, which reflect the commission’s positions and represent an honest demonstration of its policies and a clear commitment towards human rights standards. It is forbidden in Islam to oversimplify Shari’ah matters and ignore established Islamic sciences. It is forbidden in Islam to ignore the reality of contemporary times when deriving legal rulings. It is forbidden in Islam to kill the innocent. It is forbidden in Islam to kill emissaries, ambassadors and diplomats, hence it is forbidden to kill journalists and aid workers. It is obligatory to consider the Yazidis as ‘People of the Scripture’. The re-introduction of slavery is forbidden in Islam. It was abolished by universal consensus. It is forbidden in Islam to force people to convert. It is forbidden in Islam to deny women their rights. It is forbidden in Islam to deny children their rights. It is forbidden in Islam to torture people. It is forbidden in Islam to disfigure the dead. And, it is forbidden in Islam to declare a caliphate without consensus from all Muslims. These are among the points in a letter authored by 126 Muslim scholars drawn from all parts of the world which they addressed to Abu Baqr al Baghdadi two months ago. So monstrous are the crimes being committed by the takfiris in Iraq -- not just in violation of the Shari’ah but of customary law to which the Shari’ah is a significant contributor – the world is staggered by them. On the face of the broad evidence now existing, particularly in respect of the Yazidis, and subject to the determination by a competent court of law, it is possible 3 out of the 5 offenses falling under the crime of Genocide – as listed in the Genocide Convention and the Rome Statute -- have be?n perpetrated by the individuals within the takfiri leadership of what is also known as ISIL, ISIS or Da’ish. Out of the 11 offenses defined as Crimes Against Humanity in the Rome Statute, they are likely guilty of involvement in up to 9 of these offenses. As for War Crimes, their commission is also virtually undeniable on any number of offenses where the relevant context is applicable. The authors of these crimes are people whose actions are nothing but disgusting, and whose consciences have – demonstr?bly - been annihilated. National and international strategies to counter ISIL have so far concentrated on a security approach. This Council has passed an important resolution to stunt inflows of ISIL recruits from around the world. There has also been a significant military effort. But little attention has been paid to the underlying struggle for minds. It is also disturbing how few to non-existent have been the public demonstrations of anger in the Arab and Muslims worlds over the crimes being perpetrated in Iraq – notwithstand?ng the clear condemnation by many Arab and Islamic governments. The takfiri movement is gripped and driven by a distinct ideology: and it will destroy all that exists which is contrary to what it believes should exist. To the takfiris, there is only one acceptable manner in which to live. Alternative view-points – indeed, any form of individual thought outside of their closed unyielding logic – is rejected by them. Those dissenting humans must be murdered, their memory, culture, every shred of their existence, destroyed. Every single person in this room is eligible?for death, according to their thinking. The High Commissioner urged all parties in Libya to work towards a meaningful dialogue to bring to an end the current conflict. National Human Rights Institutions do vital work to strengthen good governance and the rule of law in their countries. They act as important bridges, linking governments, parliaments, the judiciary and civil society. And in many States that are currently embroiled in crisis – or which have recently emerged from conflict – efforts by NHRIs to bring justice redress and remedy to victims of human rights abuse can be vital to reconciliation. We face backlash on important advances in human rights from extremist groups who claim to stand for traditional values. And, perhaps even more widespread, we see governments that pay formal lip-service to human rights norms but fail to ensure that these principles are effectively protected, day to day, where they are needed: on the ground. Your institutions are uniquely placed to monitor and prevent human rights violations such as torture, arbitrary detention, human trafficking and all forms of discrimination. A number of NHRIs conduct national inquiries into these violations, and initiate measures to prevent them. I believe this is a core function of NHRIs. . In times of crisis, comprehensive strategies to provide justice, redress and remedy for the victims can help to restore normality. “There is real danger that in their reaction to extremist violence, opinion-leaders and decision-makers will lose their grasp of the deeper principles that underpin the system for global security which States built 70 years ago to ward off the horror of war,” the UN Human Rights Chief said. * Zeid holds a Bachelor of Arts from The Johns Hopkins University and a Doctorate in Philosophy from Cambridge University (Christ’s College). 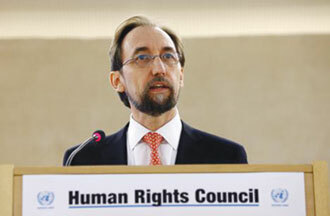 *Zeid Ra’ad Al Hussein assumed his functions as United Nations High Commissioner for Human Rights on 1 September 2014, following the General Assembly’s approval on 16 June 2014 of his appointment by the United Nations Secretary-General. He will be the seventh individual to lead the Office of the High Commissioner for Human Rights (OHCHR) and the first Asian, Muslim and Arab to do so. * In 1989, he also received his commission as an officer in the Jordanian desert police (the successor to the Arab Legion) and saw service with them until 1994. * He served as Jordan’s Deputy Permanent Representative to the UN, with the rank of Ambassador, from 1996 to 2000, then becme Jordan’s Permanent Representative to the United Nations in New York, a post he held from September 2010 until July 2014, and which he also held from 2000 to 2007. * From 2007 to 2010 he was Jordan’s Ambassador to the United States of America. * In 2004, Zeid was appointed by his government as Jordan’s representative, and head of delegation, before the International Court of Justice in the matter relating to the wall being built by Israel in the Occupied Palestinian Territories. * In September 2002, Zeid was elected the first President of the Assembly of States Parties to the Rome Statute of the International Criminal Court. * In 2004 he was named Advisor to the Secretary-General on Sexual Exploitation and Abuse. * He also chaired the Consultative Committee for the United Nations Development Fund for Women (UNIFEM) and led an effort to establish greater strategic direction for the Fund (2004-2007). * In 2009, he was asked to chair the closing stages of the intricate negotiations over the crime of aggression -- identified by the International Military Tribunal at Nuremburg as that “supreme international crime” – specifically with respect to its legal definition and the conditions for the court’s exercise of jurisdiction over it. * January 2014, he was President of the UN Security Council. “The fight against terror is a struggle to uphold the values of democracy and human rights – not undermine them,” Zeid added. “Counter-terrorist operations that are non-specific, disproportionate, brutal and inadequately supervised violate the very norms that we seek to defend. They also risk handing the terrorists a propaganda tool – thus making our societies neither free nor safe,” he said. The use of torture, neglect of due process and collective punishment do not make the world any safer, he said. “It is the people who sustain government, create prosperity, heal and educate others and pay for governmental and other services with their labour. It is their struggles that have created and sustain States. Governments exist to serve the people – not the other way round,” Zeid said. For us, international humanitarian law and international human rights law cannot be trifled with or circumvented, but must be fully observed. States claim exceptional circumstances. In reality, neither terrorism, nor globalization, nor migration are qualitatively new threats that can justify overturning the legal foundations of life on Earth. One Government will thoroughly support women’s human rights and those of the LGBT communities, but will balk at any suggestion that those rights be extended to migrants of irregular status. Another State may observe scrupulously the right to education, but will brutally stamp out opposing political views. A third State comprehensively violates the political, civil, economic, social and cultural rights of its people, while vigorously defending the ideals of human rights before its peers. The overwhelming majority of victims of human rights abuses around the world share two characteristics: Deprivation, and discrimination – whether it is based on race or ethnicity, gender, beliefs, sexual orientation, caste or class. From hunger to massacres, sexual violence and slavery. Most violations of human rights result from policy choices, which limit freedom and participation, and create obstacles to the fair sharing of resources and opportunities. The most powerful instrument in the arsenal we have against poverty and conflict is the weapon of massive instruction. Respect for the human rights of all, justice, education, equality – these are the strongly interlocking elements that will build fair, confident and resilient societies; true development; and a permanent peace. Everybody knows when discrimination means poverty, while corrupt elites gorge on public goods, supported by a corrupt judiciary. Together with the real steps – if any – taken by the State to prevent abuses and address social inequalities, and whether it honors the dignity of its people.